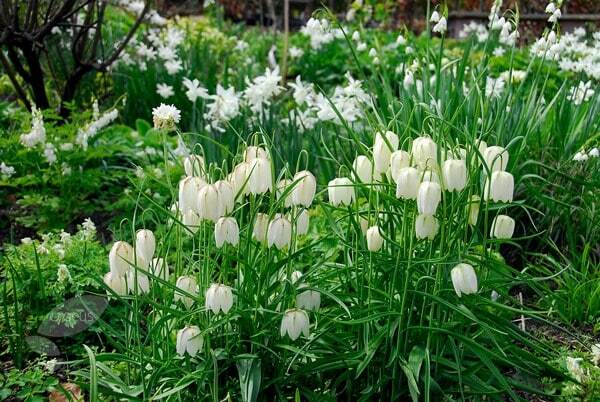 Pretty, pendent, white bells on slender stems emerge in April and May. These delightful wildflowers were once widespread throughout the UK, and are perfect for naturalising in a moist woodland edge or wildflower garden. It's essential to select a site where the soil remains moist in spring. Garden care:Try to plant the bulbs as early as possible so the roots have a chance to grow before the worst of the winter weather. 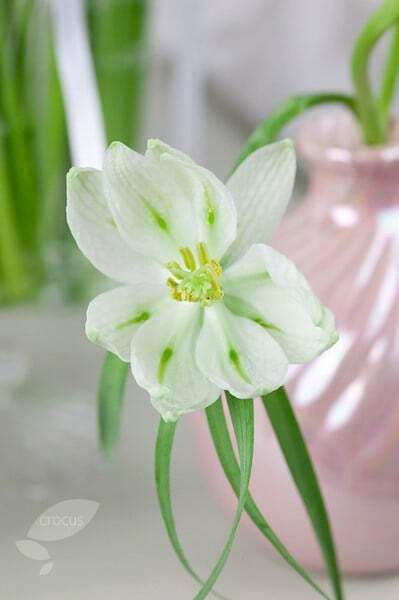 Plant them in a random clumps or drifts 10cm deep and 5cm apart and keep them well watered in spring - then dryer in summer. 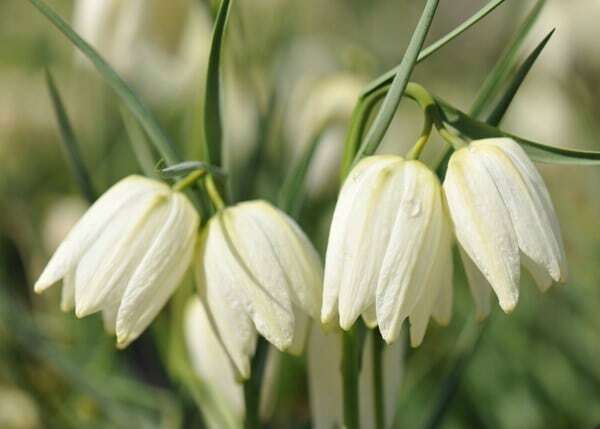 Can I grow Fritillaries in my damp lawn? I have a part of the lawn which is always moist. 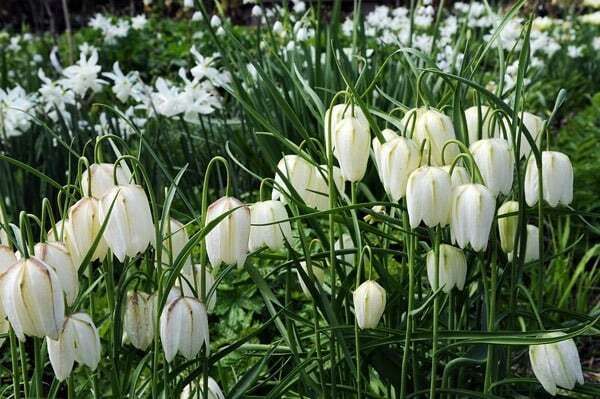 It gets lots of sun, so could I grow Fritillaries there? 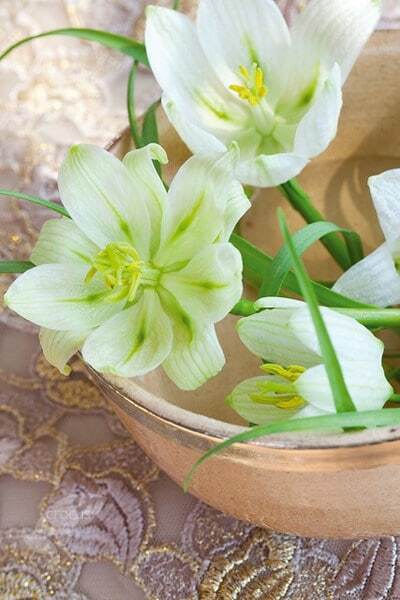 There are a couple of Fritillaria species which will grow in a damp meadow. The best include F. affinis. F. mealeagris F. camschatcensis and F.raddeana.